The positive environmental traits of flexible packaging are well known: Recycled content, potential for bio-based materials, low package-to-product ratio, overall lighter weight, lower transportation costs, compostability. But, unfortunately, flex packs have also suffered from one big negative eco trait: They’re not so easy to recycle, especially today’s laminated and metallized plastic materials. That is until now. Based on a study conducted by the Earth Engineering Ctr. (EEC) at Columbia University for the Flexible Packaging Assn., the economics of collecting and processing flex-pack waste as a feedstock for pyrolysis plants can now make the process commercially successful. Ljupka Arsova of the EEC reported on the group’s work at last week’s FPA Fall Executive Conference in Chicago. 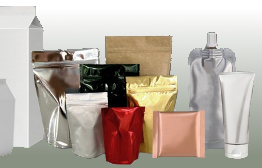 About 5.8 million tons of flexible-packaging waste (FPW) is generated annually in the US; that’s 40 lbs per capita. FPW made up only 1.5% of US municipal solid waste (MSW) in 2010. Of the total FPW, 7% is combusted as part of MSW-to-energy plants, 2.5% is recovered for recycling, and the rest is landfilled. FPW is not currently included in US recycling programs. Once recycling systems are ready to handle FPW, citizens are generally interested in participating, thus increasing the overall recycling rate in communities. Different fractions of film waste, including some FPW fractions, may command different prices as recyclables. Recycling markets for film plastic waste already exist and are under development both at the national and international level. Pyrolysis technology providers expect to get feedstock material at zero price per ton. The addition of FPW in either dual- or single-stream collection will not result in any serious technical problems. Material recovery facilities will have to install special equipment to separate FPW and that will mean higher capital and operating costs. The FPW-sorted fraction will have a market value that must be paid by the recyclers or the pyrolysis plants. The EEC estimates a theoretical FPW market price of $16-41/ton. My Thoughts: It’ll take plenty of cooperation among diverse groups (each with different goals) to make truly commercial (aka money-making) flex-pack recycling work. A bright spot on the horizon is UK recycling-technology developer Enval, Ltd. That firm is establishing the world’s first commercial-scale plant using Enval’s patented Microwave-Induced Pyrolysis process to recycle laminated plastic and aluminum packaging. Major CPCs such as Nestlé and Kraft Foods Group are backing the development of the facility. Enval wants to use the plant to demonstrate the new technology at full commercial scale to other potential users working in the recycling industry with expectations that similar plants will be built in other parts of the UK and, hopefully, worldwide. This entry was posted in flexible packaging, sustainability and tagged converting, earth engineering, environment, flexible packaging, municipal solid waste, packaging, plastic film, recycling, recycling systems, sustainability, technology. Bookmark the permalink.